Gürzenich Orchestra, the Stuttgart State Orchestra and the Nuremberg State Philharmonic. In the 2015-16 season he took part in the Joseph Keilberth Orchestra Academy of the Bamberg SO. He then joined the Bavarian Radio Symphony Orchestra, beginning with a temporary contract in autumn 2016 and receiving a permanent contract in September 2017. 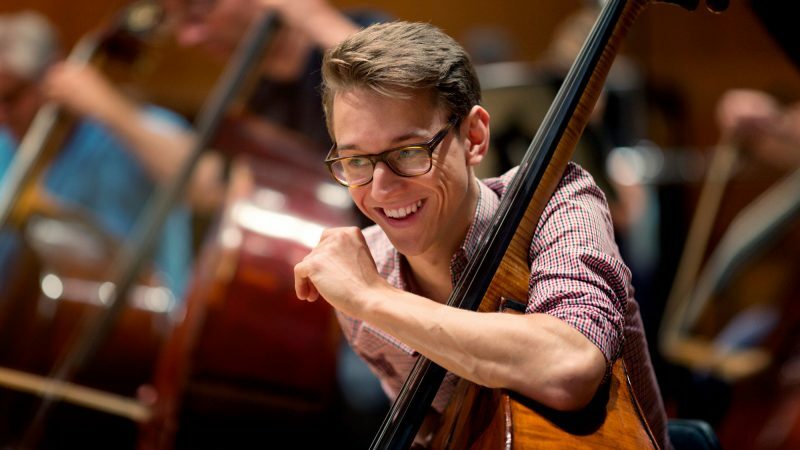 The tour in May 2018 will probably be remembered by double bassist Lukas Richter. During the trip, he learned that he passed his probationary year in the Symphonieorchester des Bayerischen Rundfunks.